Trying to find an option from last week’s relentless winds Peri Stavropoulos ventured down to the Geelong Waterfront land based. Casting soft plastics Peri was successful in landing Australian Salmon to 1kg that gave him a run for his money on light tackle. When able anglers fishing from a boat also found great numbers of Salmon along with pinkie snapper and the odd flathead. Over at Clifton Springs anglers also found Australian Salmon in large schools which were given away by birds working the schools of bait. Squid were a viable target when the water was clear and the wind backed off. Along the Point Richards channel anglers found gummy shark to 6kg devouring pilchards as bait. It won’t be long before we start to see the annual run of snapper so the Point Richards channel is a great place to start. Just remember to keep clear of ships along the channel and don’t anchor inside the channel. St Leoanrds saw a few whiting come on the chew for those fishing pippie as bait. Bourke St was a great location as it held numbers of fish and was not too far from the ramp if the wind picked up. 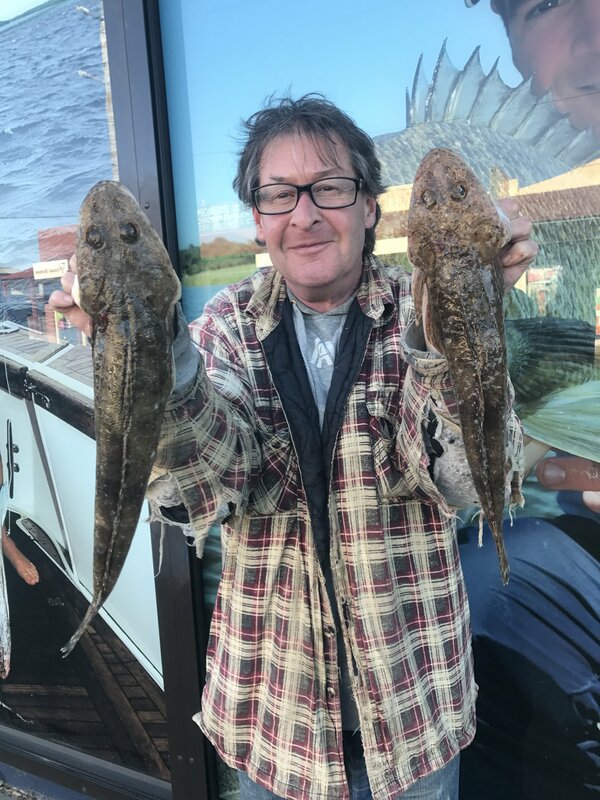 Barry Wood took a trip out off Indented Heads and had no trouble in boating numerous flathead to 45cm. Anglers chasing big squid got there fix once again at Queenscliff with the grass beds to the Bight see bag limit captures taken. Off Shore reports slowed this week due to the weather but those who braved the conditions did boat gummy shark to 20kg. Once again fresh salmon as bait did the trick. From Portland to Port Mac along the Victorian / South Australian Boarder Southern Blue Fin Tuna to 120kg have been encountered it’s fantastic to see a great run of these trophy fish on our door step once again. Trolling Skirted lures has been most effective. 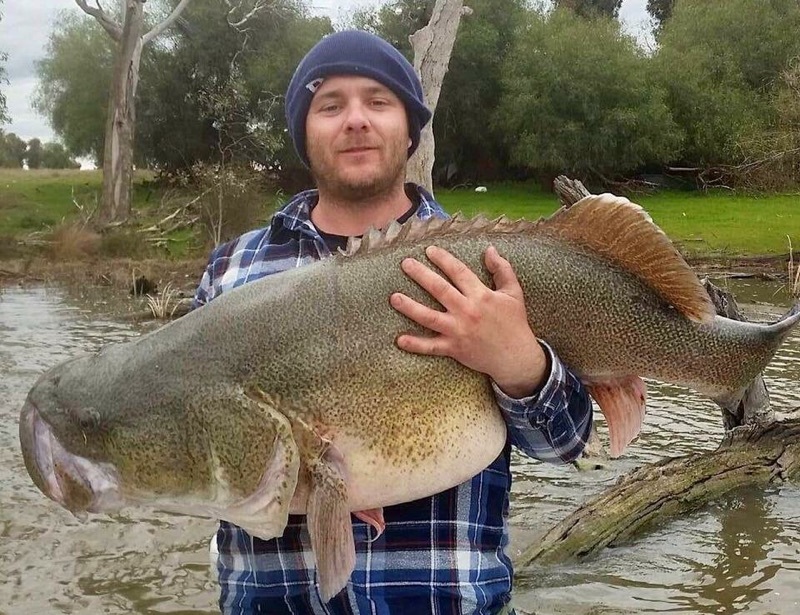 Freshwater fisho’s tangled with some impressive brown trout to over 4kg out of Lake Purrumbete. Casting or trolling lures along the weed banks is defiantly the way to go. 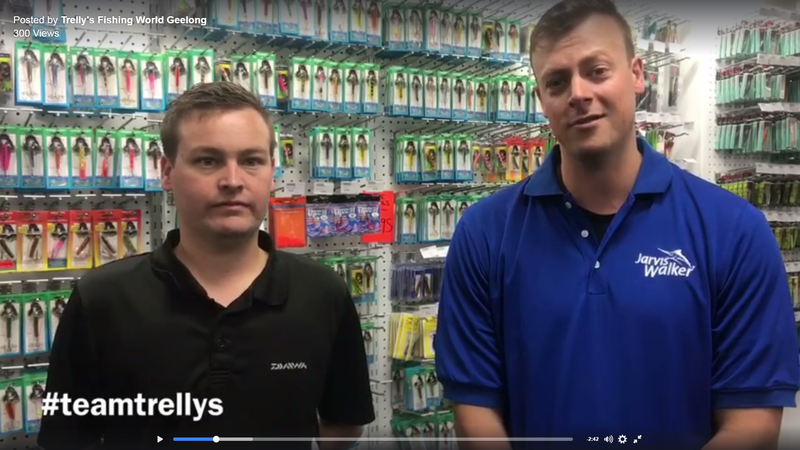 Try longer minnow profile lures. Closer to home Stony Creek was a hot spot for brown trout to just on 1kg. Casting pink Tassie devil 13.5gram in colour #55 was by far the most effective. The odd redfin was also reported as a by catch. Wurdee Boluc kept dedicated anglers busy with the main attraction to this piece of water trophy trout. Rainbow & Brown trout to 1.5kg were banked by anglers fishing at first or last light with the reliable norries wasabi spoon working well. 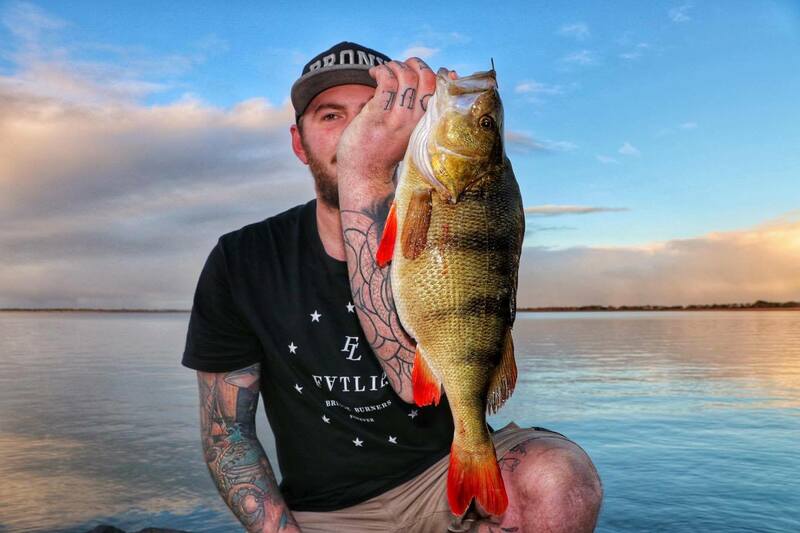 Graeme Findlay has been putting in the time at Wurdee and its really paying off this week landing a well-conditioned redfin of 45.5cm casting a hard body lure. The River around Seymour to Nagambie has been pretty quiet, a few Crays around Mitchellstown Bridge and a few small Redfin in Nagambie Lake around the boardwalk. A few nice Redfin in the Main Eastern Channel near Wahring on Worms and small lures such as size 3 Stumpjumpers and Silver Hogbacks. The River between Murchison and Shepparton looks ok, a little dirty, but not as high and isn’t flowing as hard, bait fishing would be the best way to fish, using Worms and small Yabbies should produce some nice Yellowbelly, the Yellowbelly are firing in the channels around our Region, so they should be on the bite in the River. 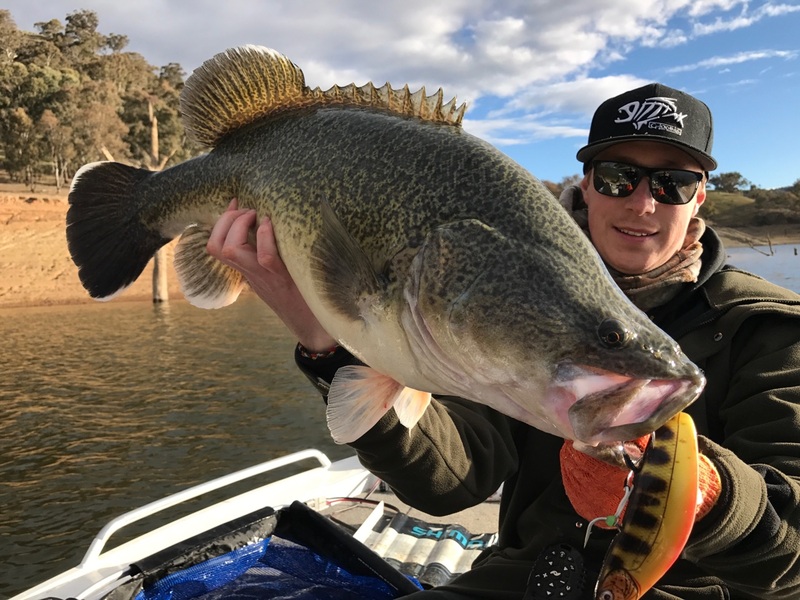 Both the Stuart-Murray and Catternach Channels are fishing really well, plenty of Yellowbelly, Worms, Shrimp and Yabbies as well as Jackal T/N 60’s and 4D Chatterbaits working well. Still plenty of Redfin in Waranga Basin on Crazy Deep RMG Poltergeists and Deep 55mm Codgers. Once you find the fish, Ice Jigs are working really well. Most fish are quite small, but did hear of some 40cm+ being caught. The outlet Channels along Tat-Rushworth road, Mcewen Road and Middle Road producing some nice big Yellowbelly and Redfin. Unweighted worms and Yabbies around the Bridges and Drop Bars working the best. Greens Lake producing some good Sized Redfin bobbing Worms and Yabbies, not huge numbers, but fish over 40cm the likely catch. Focus your attention to the area where the Channel feeds the Lake. The Main Eastern Channel out Euroa Road where the channel goes underground for a bit is a good place to chase some Yellowbelly along the wall where the downstream side of the pipe. Worms and small Yabbies working well as well as Jackal T/N 60’s and small Bassman Spinnerbaits Yellowman Series. 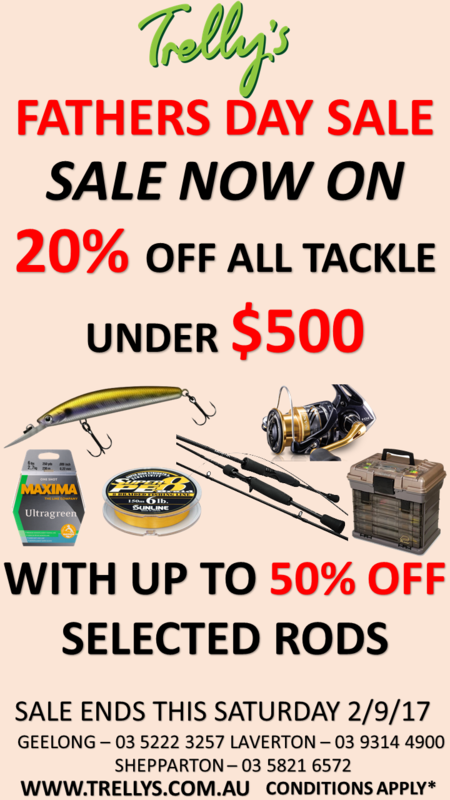 The lakes in Mooroopna, especially the one near the football ground producing a few Trout on Powerbait under a float. The Victoria Lake has been quiet. Tim Woods whilst fishing with Warren Adj got a cracker metre Cod on Sunday, greaty work. 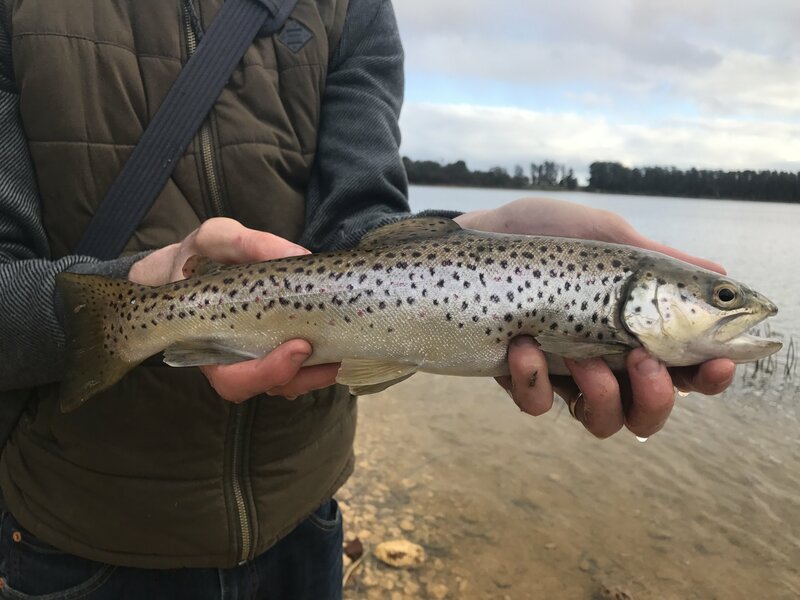 We did hear of a few fish over the weekend including some metre fish to finish the season off, water was dirty, and it was very cold, but the fisho’s that had a crack got a few nice fish. If the last 4 months is an indication of what the up-coming December 1st Cod opening will be, it will be a great season for Big Cod, can’t wait! 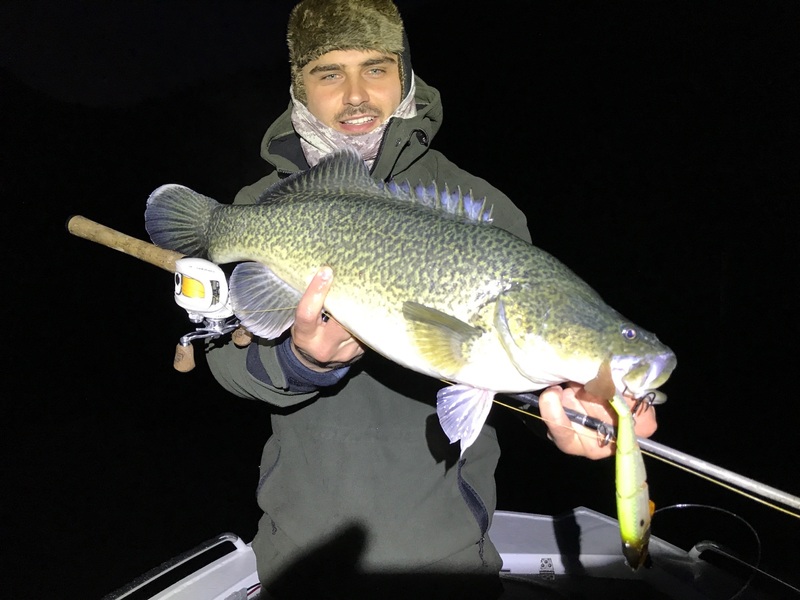 Pro Staffer Justin Williams along with Christian Georgopoulus, Greg Brassil and Tom Brassil made the trip to Lake Burrinjuck during the week, getting great weather and having some good success. Biggest landed was on the first morning from Greg, he boated a 99.5cm cod casting a Viva Gotcha Shad along a rocky edge. He also landed an 80cm on a Jackall Gigantarel on the last morning running off a slow tapering bank. 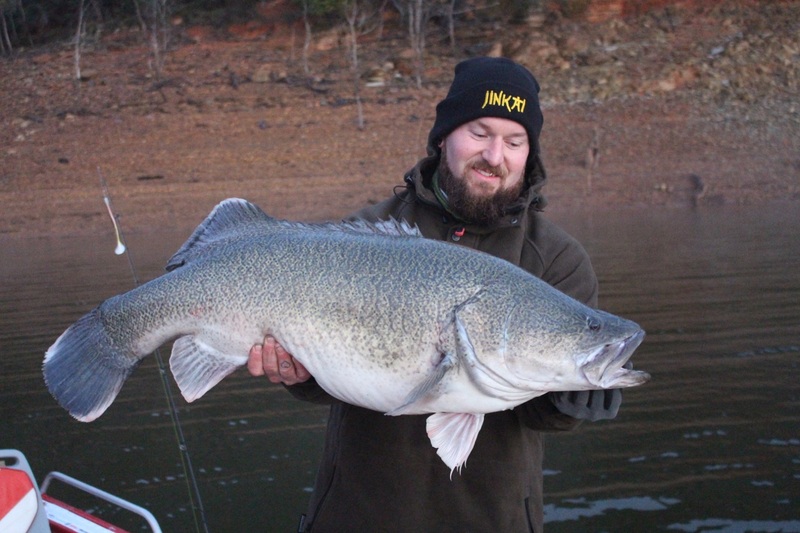 Justin landed a chunky 82cm cod casting another Gotcha shad around the trees in about 20ft of water just off the bottom along with a 75cm on a Bassman “Big Guss” Spinnerbait casting a shallower rocky edge and also got a mid 60’s cod casting another Gotcha Shad in the dark in around 25-30ft of water. Christian landed a nice mid 60’s cod casting a Jackall Gantia with a chin weight which smacked him on the drop, in around 25-30ft of water. There were a few dropped fish, a few follow ups but overall it was a good trip to finish off the season, now time to put some of those techniques into Eildon in springtime and see how it goes. Next week if we see a break in the weather venture out off shore for a gummy shark and while out there keep an eye open for birds working as there might just be a few Southern Bluefin Tuna hanging around. Inside the bay Queenscliff will hold large squid try baited jigs fished down deep.